2014 has been a stonking year for debuts so far, and it's not overstating it to say that I've been counting down the days until this one. Emma Healey is another graduate of UEA's Creative Writing MA, so the quality of the writing is almost to be taken for granted. It's a cracking idea. I have read any number of novels featuring an elderly person, or someone suffering from dementia, but I have never read one written from the perspective of that character. Maud is in her 80s and lives alone, visited by her carers, and by her daughter Helen. Sometimes she recognises Helen, other times she wonders what this anxious woman wants with her. Maud is much more concerned with the whereabouts of her friend Elizabeth, her last real remaining friend, and someone who has gone missing. The book - beautifully designed, as befits the novel of someone with a bookbinding degree - is lined with notes Maud has written to remind herself of things. 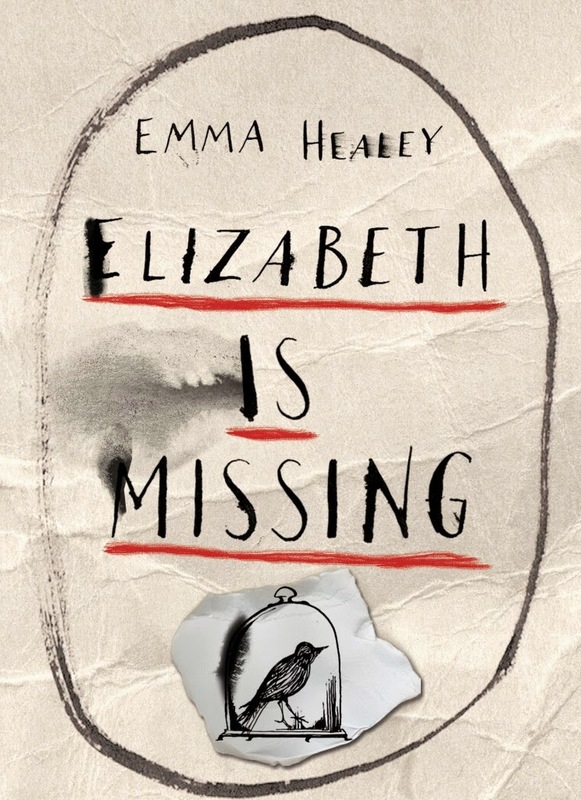 The only thing she can know for sure is that Elizabeth is missing, and the book follows her attempts to find out what has happened to her friend. Her confusion when she sees a new note that she doesn't recognise is brilliantly done. It feels like that moment when you're dropped into a video game, and need a few moments to get yourself together. Endless tins of peaches provide reassurance to Maud, if less so to her carers. Maud's memory is flawless when remembering the extreme past: and as we follow her trying to navigate her way through her modern, bewildered life, it is almost balm to retreat into her adolescence. There however, her beloved elder sister Sukey goes missing. Healey does an elegant job of weaving the missing women together, sometimes with lines that really hit you over the head with an "oh" of beauty. I was less taken with Sukey's men: her husband Frank has a creepiness that wasn't explored enough for me, and similarly with Elizabeth's family lodger, Doug. Young Maud lets too much go, and elder Maud allows it. I found Maud fascinating and infuriating, and I loved the way her grand daughter Katie comes to life as a counter to her put-upon mother Helen. I enjoyed spending time in their world, but I would have loved more of a mystery to the mystery. I am utterly incapable of deducing an outcome, so when even I can guess what has happened before the big reveal, it feels anticlimactic. Maud deserves fireworks of the highest level, but still, this book will keep you talking even when the plot has stopped.